Your task is to solve the mystery. To get the case information go HERE. Alivia did excellent example of how to write the Resolution except she chose the wrong person. The format she used though is excellent. You will file your case resolution in Jupiter Grades. I just want to give a shout out to the students that can celebrate when someone else is selected Reading Workshop Student of the Day. You make their success your success when you can feel good about your classmates. An article in The Daily Texan talks about teamwork at the highest level with NBA champions, San Antonio Spurs. No sports team is successful without working together to reach a common goal. Teamwork is essential to a good performance from any sports team, professional or not, and is a great way to teach children certain life lessons, such as cooperating well with others and taking responsibility for actions. Such lessons are applicable to life outside of sports and can be applied to work or school, such as focusing without interruption on the school paper that needs to be written or working with a less-than-pleasant colleague on a project. You can read he rest of the article HERE. A team building success is when your team can accomplish something much bigger and work more effectively than a group of the same individuals working on their own. You have a strong synergy of individual contributions. But there are two critical factors in building a high performance team. Every sled dog has a different personality. They are kind of like people. Some of the dogs are outgoing. Some dogs are shy. Some of the dogs are hard workers and some are lazy. 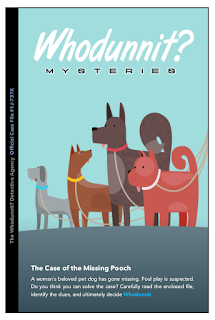 The musher of a dog team needs to find the best position for every dog on their team. When the dogs are all working together as a team, they can travel far and pull a lot of weight. Teamwork is a very important part of dog sledding. 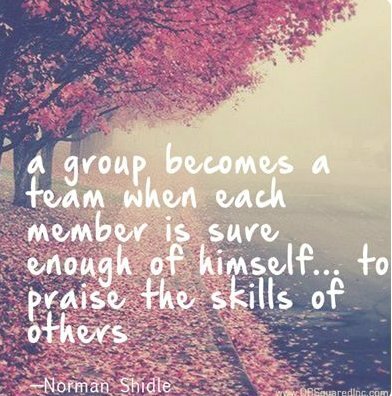 Do you use teamwork at school? I bet you do! Another resource with several articles can be found at The Happy Manager. Take a look at this video. There are different types of teammate. Can you recognize yourself? Others? Your class is your team. Every day you could be a part of something meaningful. You could be a part of something special. You could better the lives of those around you. You could be a leader. You could show kindness to someone in need. You could bring your class together to make it strong. For this to happen though takes a team first attitude. It means putting others' needs in front of your own. Most of all though, it means evaluating yourself as a teammate. Then you must be motivated to use your strengths to the best of your ability to make your class the best it can be. Your first task, Reading Workshop students is to describe yourself as a teammate. What are your strengths? What are your weaknesses? How do your classmates view you as part of the team? The Sixth Grade students went to Camp Oty Okwa for Outdoor Education Camp on March 26 - 28. Last Wednesday morning, three school buses with 147 students, 14 Salt Creek staff, three pickup trucks, one pulling a large trailer loaded completely full of luggage, all headed out with high hopes for a great time. Although camp started out a little cool with a temperature of 20° as we loaded up to leave, it didn't affect the mood. A few raindrops fell here and there also, but again, it had little impact on the attitudes of everyone. I had a great time and couldn't imagine any way possible to enjoy camp any more. Smiles were everywhere at Camp. Every time I looked at a student for the entire three days, a smile was just waiting to jump out. Any comment, look, or smile and a big grin was busting out. Students smiled at each other, at Camp Oty Okwa staff, and at teachers. One look at any student's face and you knew they were having fun. Students' attitudes and cooperation was the best. Every teacher bragged on "their" group and how well they did. Students worked together in classes. They helped each other over and around obstacles on the trails. When students make a leather indian pouch during craft time, everywhere you looked someone was giving a hand to a classmate. Salt Creek students were the best. In over twenty years of going to Outdoor Education Camp, I have never had a better time. Students' friendship, kindness, and humor made it a blast. I am very proud of all of the sixth graders and appreciate how they all cooperated to make camp so awesome. Thanks for a great time!